Sally Shadbolt is an experienced care home manager and registered nurse. 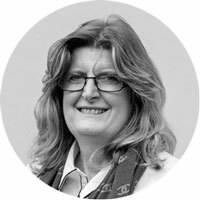 Her career in care has seen her manager homes for both regional and national operators, including Healthcare Homes and, most recently, Care UK. Sally began her career working as a carer in a convalescent home. She then gained experience in a nursing home before training as a nurse at West Suffolk Hospital, where she worked for 14 years. Sally is dedicated to delivering quality care, as evidenced by her achieving an “Outstanding” rating from the Care Quality Commission in her previous role. Sally is delighted to have joined a family run group and looks forward to working with the staff, families, and most importantly, the residents of Melford Court.